Each square Uranus and Pluto forms redefines how the two instigators Uranus and Pluto are cutting into reality. Below you can find the chart cast for this moment. The position of Sun and Moon is most important. We already discussed the Scorpio component - that Plutionic dance of Yin and Yang spinning, symbolizing an intimate and deeply transformative and fusing experience - a window opening into the spaciousness of being, catching a glimpse of 'beyond time'. "The well is clean. It would be a pity not to drink from it. Likewise, a great leader's clear mindedness is a source of blessings to all, for he is the only one who knowshow to put the right person into the right job." This line makes us understand and honor cosmic synchronicity, that for some strange reason we aren't ready yet. All information necessary to resolve an issue is readily available. However, it may be that or ears are plugged, or the background noise too high. It could be that we look into the wrong direction, or that we're simply still asleep. However, I promise you, this setback won't last for too much longer. The conclusion will come after April 21, 2014. Then the two cosmic catalyzing agents will come to cross their blades for the fifth time. 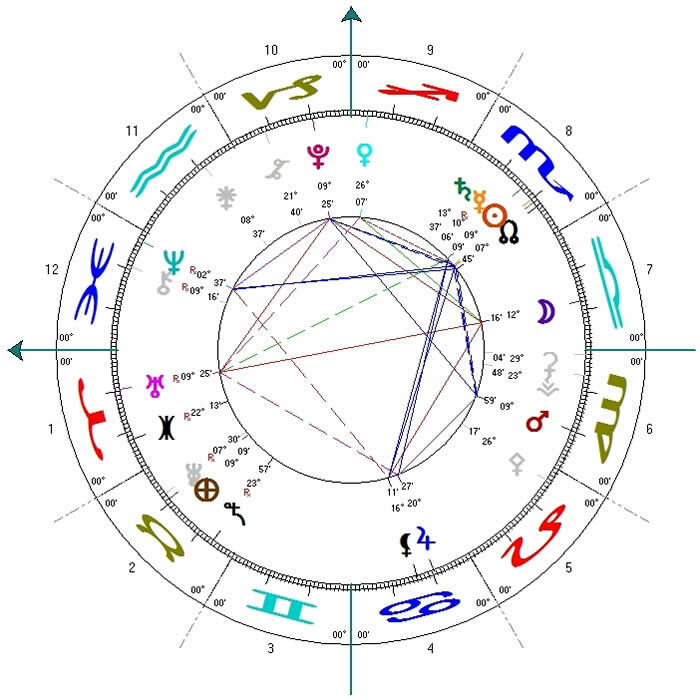 In the April 21, 2014 chart, Mars will activate the fifth line of hexagram 48, the Well. The fifth line is the leader of any hexagram. Here it will be proclaiming that "pure, clean water is available to all."